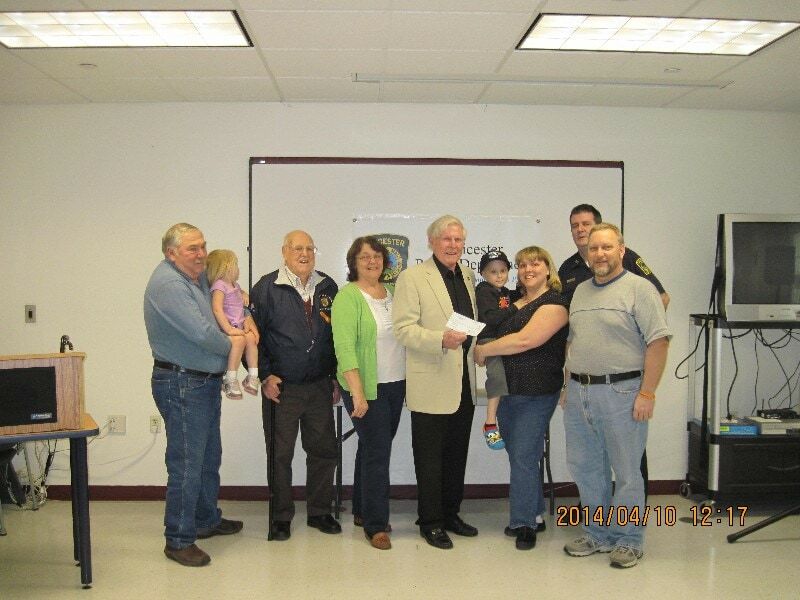 On Thursday, April 10, 2014, Cops For Kids With Cancer went to the Leicester Police Dept. and made a donation to the family of William Austin Jr. a 5 1/2 year old boy from Leicester, who has Leukemia. In photo from left to right, Grandparents with Williams sister, Bob Faherty, Mother Laurie and William, Father William and Chief James Hurley.